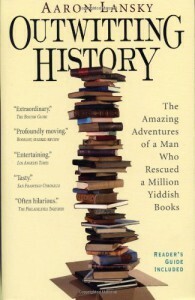 Outwitting History really is a bit of an adventure story, but it's also an emotional education on Jewish culture, the history of Yiddish, and (a bit) the development and operation of a non-profit organization.I listened to this book from audible.com, read by George Guidal, and I'm glad I did. He reads it brilliantly, including paragraphs of Yiddish that are translated after. 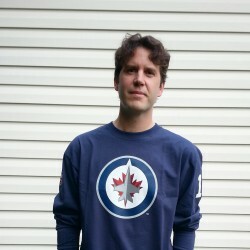 I'd have never gotten the flavor of the language without him.I think you could knock out the last quarter to fifth of this book and wind up with a perfect little five-star package. Adventure stories don't end with a 25 page denouement of the hero touting his accomplishments.And then there's this:On the day the North Carolina senate voted to put forth a constitutional amendment banning gay marriage in this state, I read this line from Lansky: "...when the dictates of justice conflict with those of tradition, tradition must give way." He wasn't writing about gay marriage, of course, but sometime you're handed universal truths and need to apply them where you may.